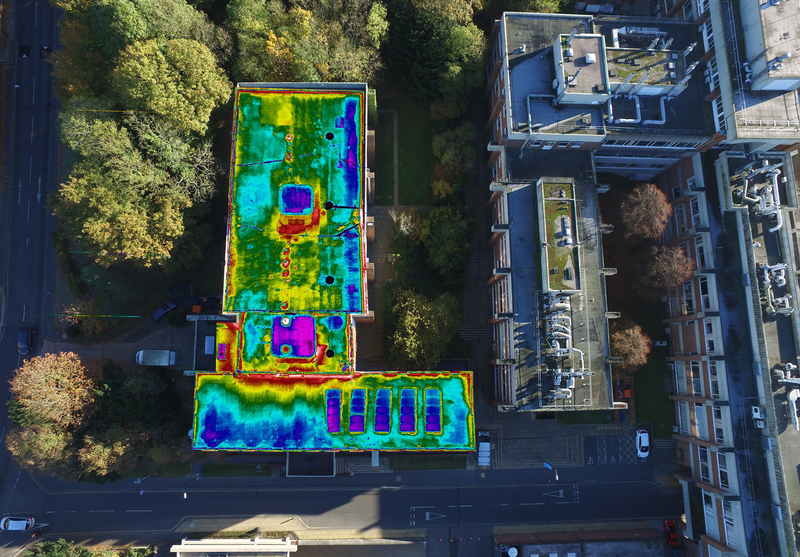 Home / Posts tagged "Infrared"
When it comes to flat roof defects, how many of us go about our day-to-day lives with a problem quite literally hanging over our heads? Chances are, if your building is topped off with a flat roof and you haven’t had it checked recently, you are one of them. they can help keep the interior warmer by absorbing sunlight at a higher rate than slated roofs. they are ideal for solar panel installations. they can often be the most economical option for construction. they are quicker to install than other traditional roofing methods. they are also more accessible, allowing for easier inspection processes. Unfortunately, however, property owners too often adopt the old mantra of ‘out of sight, out of mind’ when it comes to what’s above their heads – and this is particularly problematic with flat roofs. More than any other style, flat roofs need to be monitored regularly since there is no way for water to naturally filter away. It doesn’t need to be problematic but when problems do not visually present themselves on a daily basis, it’s easy to take your eye off the ball. With this in mind, let’s take a look at five of the most common flat roof problems and what they could mean for your property. This is one of the primary causes of flat roof leakages. Water will start to damage your roof’s material if it does not drain or evaporate within 72 hours and that means regular inspection is particularly important during winter and spring months. The problem is usually caused when there is insufficient drainage or the roof itself is just too flat. Despite the name, there should always be a small amount of slope for effective drainage. Snow build up can also be problematic as snow and ice can block drains and gutters. Even small amounts of trapped moisture can result in your flat roof membrane detaching from the layer below and cause roof ‘blisters’. This is the most common roofing problem and it tends to get worse during the day when the heat of the sun causes the trapped moisture to expand. When blistering occurs it is vital to identify the source of the moisture. 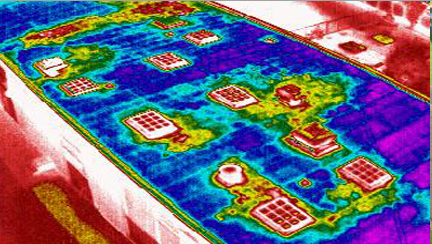 Repeated cycles of heating and cooling cause flat roof materials to expand and contract. Materials must be equipped to deal with these movements without cracking under the pressure to avoid water penetration. Taking all a British winter, and sometimes summer, has to throw at you isn’t easy. Throw continual roof traffic (accessibility has its downsides) into the mix and it’s only natural that, over time, your roof’s protective layers will suffer a bit of wear and tear. Given the importance of drainage on a flat roof, it’s vital to regularly inspect the condition of the flashing. This is used to prevent water from penetrating a junction and problems can occur when it has been poorly installed or damaged and bent over time. Flashing damage can also be caused by fungus growth from moisture build in problem areas pushing away flashing. These are only five flat roof defects most commonly encountered. They overwhelmingly highlight the need for certainty in terms of refurbishment. 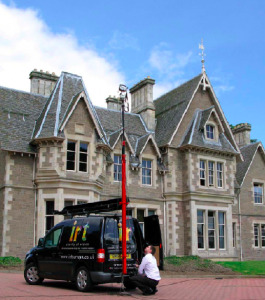 That’s why an increasing number of organisations are using infrared thermography to assess their properties which can reveal exactly where and why problems are occurring. and tell you how much it is costing. In addition to this the IRT Commercial Envision report can provide you with a list of refurbishment options with potential savings in £s, kWh and CO2. This information can be used to build a powerful case to leverage grants and budgets. We have helped many organisations save £000s on their flat-roof refurbishment. Contact us now to find out how you can do the same.